Because INFJ’s are highly sensitive, future-oriented, empathetic, and stimulated easily, breakups can be a bit of a train wreck for them! You can read all about why exactly that is in one of my recent posts, 5 Reasons the INFJ Has Such a Hard Time Coping With Heartbreak. I didn’t think I’d ever feel happy or whole again. The mixture of heartbreaking emotions that ranged from denial, jealousy, confusion, anger, betrayal, loneliness, and depression felt like too much to bear. What you’re experiencing right now is natural, normal, and expected, but I want to help you slowly but surely start feeling whole again. I want to help you start seeing the light at the end of the tunnel. And there is one! In recent years, I had a heartbreak so awful that I thought I would still be crying about this guy when I was 85 years old. After about a year (yes, sometimes it takes that long or even longer), those painful feelings had become very minimal. And eventually, I was completely free from the pain. Once I was able to free myself from the control that the heartbreak had on me, I was in a far better place to start living my life again, reaching my goals, and was eventually stable enough to know when I had actually met the right guy. I’m now happily married and am so incredibly grateful that I didn’t end up with any of the guys that I thought I’d never get over. With patience and a whole lot of effort, you can finally be free from the misery you’re in and start feeling happy and whole again, just like I did. While it’s true that it’ll take time to completely heal all of your wounds, there are things you can do to speed up your healing process and to start functioning like a human being that doesn’t have their heart broken, which is why I’m offering these tips and tricks. I know they won’t immediately ease all of your pain, but they will make the pain less excruciating and help you heal more quickly. And to help give you a little boost, I’m giving you my best tips and tricks for what actually worked for me and helping you avoid doing the things that didn’t work for me at all! Are you ready to start healing your heart so you can live your best life?! 1. 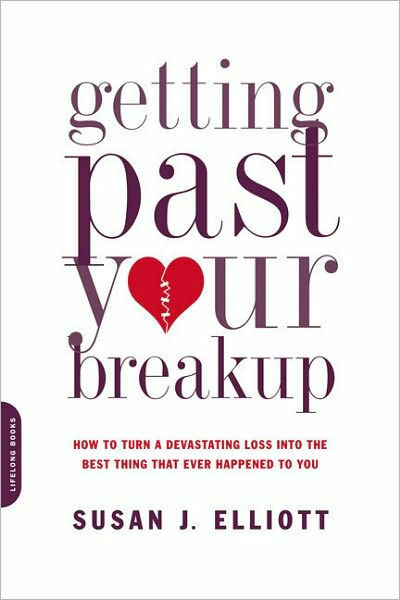 Read this breakup book that will help ease your pain and heal properly. 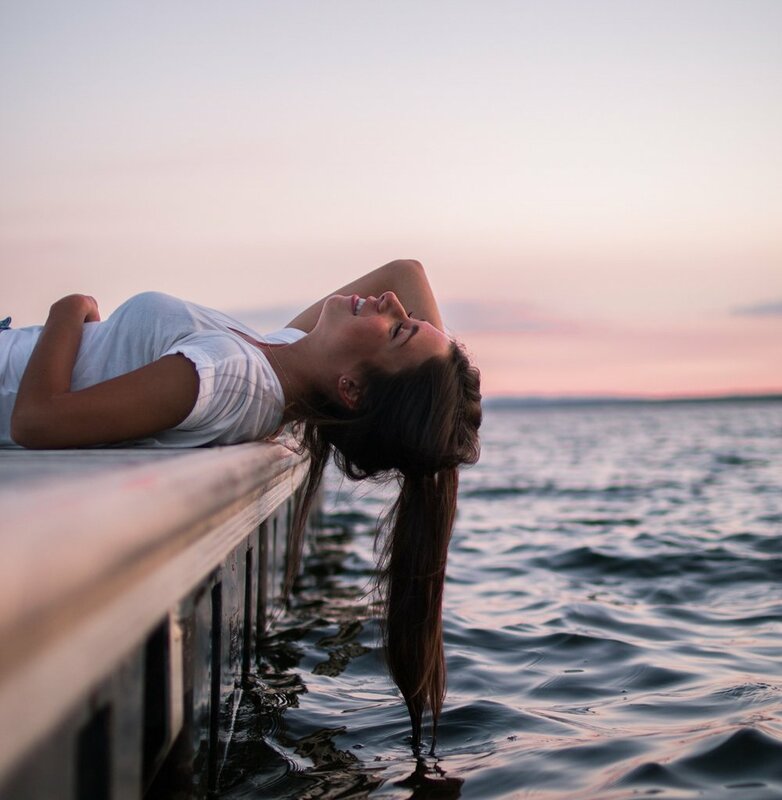 I’ve mentioned this one before in this post, but reading Getting Past Your Breakup: How to Turn a Devastating Loss Into the Best Thing That Ever Happened to You was a complete lifesaver for me and it will be for you too! It’ll help you start thinking of your breakup in an entirely new way and it’ll help you heal properly instead of using “quick-fix” methods that don’t really work long-term. Not only will this book help you heal and ease the pain of your break up, it’ll also help you prepare to date the right guys/girls in the future. You’ll learn how to stop settling so that you can find someone who will actually be a good, compatible fit for you. 2. Let yourself feel the pain fully. Don’t be afraid to let yourself cry and wallow for a few days or even a couple of weeks. Even when you need to get back to real life, set aside some time each day to let yourself feel the pain. Write everything out in a journal. Don’t leave anything out. Don’t filter anything. Just lay it all out there. You won’t be able to heal if you’re pushing everything down, numbing the pain, and/or hiding your feelings. 3. Commit to “no contact” and delete your ex from all social sites. This isn’t you being “petty.” It’s you caring about your emotional health. You simply can’t get over someone if you’re constantly checking up on them to see who they’re with and what they’re doing. You need to give yourself some space from them, and that means making a clean cut from them in real life and on social media. I have a 30 Day No Contact challenge for you. Download and print out the worksheet below (or request a Word Doc format version from me if you don’t have a printer) and send it to me once you’ve completed 30 days without contacting your ex. I want to support you in your endeavors to heal and the best thing you can do for yourself to heal is to stop contacting your ex. Email me at thedetermineddreamerorg@gmail.com if you have any questions, need any emotional support, or to show me your completed 30 Day No Contact challenge. There may just be a prize for you if you do your full 30 days! 4. Plan a “staycation” or even a vacation for yourself. INFJ’s have a “dark side,” where they tend to make impulsive and unhealthy decisions in the wake of heartbreak and pain. That’s why it’s crucial for you to plan a “staycation” for yourself in a nearby hotel or Airbnb (or heck, even make it a road trip and go a little farther.) The key to this “staycation” is that you can’t do anything unhealthy during the trip. That includes drinking, texting your ex, trying to find a rebound guy/girl, or any other “quick-fix” methods to try to numb the pain. And yes, drinking is not recommended when your heart is broken because it can lead to poor choices and you may begin to rely on it to numb the pain. So, I would suggest that you stay away from even a glass or two of wine. Plan your getaway with caring for your soul in mind. Make it something you can look forward to. You deserve to give your soul a break. A little time away is just what you need to recharge and get back on track! Bring your books and journal and ditch the alcohol and booty calls (and perhaps, even your phone) and do some intense soul searching/relaxing on this little getaway. Bring a friend or better yet, go solo so that you can do some real in-depth soul searching. Let yourself feel the pain, as mentioned above, but also do some healthy activities that take your mind away from the pain, such as creating your own spa night at your hotel/Airbnb, going to a spa, swimming, visiting a bookstore or cafe that you haven’t been to before, doing something adventurous, etc. 5. Make some important lists. If you don’t end up buying the book I mentioned above, Getting Past Your Breakup (but I highly recommend that you do!) than there’s something I want to mention from the book that I believe is paramount for you to do. In the book, Susan J. Elliot prompts readers to do a “Relationship Inventory,” where you’re invited to answer a set of questions that will help you think more clearly about your past relationship. This was crucial for helping me get over my most recent breakup because I was able to finally the relationship for what it was instead of continuing to put the relationship/my ex on an undeserved pedestal. By answering the following questions, you’ll be able to think about things more clearly and take a huge step in your healing process. Take it slow. Answer the questions however slowly you want, but try not to take more than a week or two. Make a list of ALL the positive qualities of your ex. Write down all the traits that you liked and that were important to you. Write down five special things your ex did for you or 5 special times during the relationship. Make a list of things that your friends & family liked about your ex. Were they the same things you liked about ur ex? Make a list of things you liked about your ex that your family/friends didn’t like. What kinds of things put you at odds with friends or family? Did you explain or excuse the behavior that others did not like in your ex? Make a list of all the NEGATIVE things about the relationship. Again, this is NOT the negative things about your ex, but the negative things about that particular relationship (Example: You couldn’t go out with your friends when you wanted to, you had to let your ex know when you where home). Make a list of all of your ex’s negative qualities. Focus on aspects of your ex that you really disliked & wanted to change. Think back to the beginning of the relationship and make a list of all the WARNING SIGNS. Write down the 5 most hurtful incidents to you in the relationship. What was done? What was said? Was there an apology or a reassurance? Did it happen again? Write down the things you feel you did wrong (not what your ex said you did wrong but what YOU truly feel you did wrong). Include things you did and things you didn’t do. Write down any major incidents or issues in the relationship that stemmed from your own issues or your own behavior. Was there something you did that lead to a major blowup? Write down anything that you would take back if you could. Write down any significant statements you would have liked to say. What was gone unsaid? If you had your ex in a room for 5 minutes and he or she could not respond, what would you say? Unfortunately, most of the sad breakup movies people are drawn to when they’re heartbroken have happy endings where the couple gets back together, but like the ending of Eternal Sunshine of the Spotless Mind, the truth is that even if you did end up getting back together, you’d probably end up breaking up again. And there is a high probability that you won’t be able to get back together in the first place, no matter how much you want to. That’s why it’s best to stick to movies where it ends in a different sort of happy ending- one where the heartbroken character moves on and goes on to live a happy and fulfilled life without their ex. Here are a few of my favorites that may not have the happy ending you’re wanting right now but that have the happy ending you need. 7. Create a “Breakup Healing” playlist full of encouraging songs. While you can’t hide from the sappy love songs forever, it’s beneficial for your healing process to create your own playlist to listen to the first few weeks (or for however long you need) after the breakup. Here are some of my favorite empowering breakup songs! I know, the last thing you want to do when your heart is broken is exercise, but it’s one of the most important things you can do to start feeling better. Exercise is important after a breakup because it helps reduce stress and will also increase your endorphins, giving you the mood boost you desperately need after a breakup. It will also increase your confidence and help you realize your worth. I could go on and on because there are so many benefits of exercise. So get on that treadmill so that you can start feeling better! 9. Get into the habit of meditation. Meditation is an extremely important part of the healing process. In the aftermath of a breakup, people tend to live in the past and/or worry about the future instead of being in the present moment. Meditation will bring you back to the present, relax you, recharge you, and lift your spirits. This is my very favorite meditation book and down below I’ve included my favorite breakup meditation video, which you can find on Youtube. When your life feels a little out of control, it can help to fix what you can control. And one of the things you can have complete control over is the cleanliness of the space around you. Get out your cleaning supplies, buy some organizational products at Target or Walmart and start organizing and cleaning! You’ll feel so much better when your space is clean and organized. Plus, the very process of cleaning and organizing is a self-help method that’s been proven to work wonders. It’s been said that having something to look forward to can be just as exciting as the actual event. Booking a massage is the perfect way to have something healthy and healing to look forward. And you deserve one after all your hearts been through. You deserve to relax and be pampered. You’ll leave your massage feeling refreshed and reenergized, which is exactly what you need right now. 12. See a counselor/breakup coach. Don’t be afraid to seek out a counselor or breakup coach. In my opinion, everyone should see a counselor at some point in their life, for the sheer fact that we all have baggage and we all need an unbiased ear to listen to us. Call your insurance company to get a list of the counselors in your area. They should be able to send you an email PDF format of all the counselors covered by your insurance so that you can start seeing one right away. If you’re weary about seeing a counselor, just remember that you can just see them once and then never go back again. Think of it as a test run. But if you don’t like the first counselor, remember that every counselor is different so you may end up loving another one. It’s worth it to give another one a shot. And it’s nothing to be ashamed of. You’re grieving the loss of someone you loved and your life is a little shook up right now. Don’t be afraid to get some counsel on how you can cope in healthy ways and get your life back together!